In greater Mankato, you’ll find more than just a comfortable night’s sleep. We have hotels with on-site restaurants; game rooms and swimming pools for energetic children of weary parents; fitness and business facilities where working travelers get in shape and stay in touch and campsite and resort properties for those who need only the stars and sounds of the night. Riverside Suites is a newly renovated hotel located along the Minnesota River Valley at the junction of Highway 169 and Highway 14, between Kwik Trip and McDonalds. Our hotel offers rooms with a contemporary feel, suitable for short or long term stay. Guests will find 55 flat screen TV's in every room as well as a cable package with HBO, also upgraded suites with leather sofas, full sized fridges and convection ovens. We offer single and double bed rooms, as well as 1 bed room, 2 bed room, and 3 bed room suites. We offer FREE Wireless Internet, a mini breakfast with Caribou coffee, and guest laundry and we are also a PET friendly hotel. 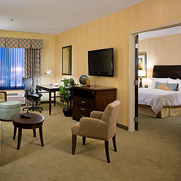 We offer a 24 hour lodging facility. Super 8 features High Speed Wireless internet and free continental breakfast. Rooms available include mini suites, king rooms, queen rooms, two full size XL beds. There is also a 24 hour restaurant next door. In room coffee, hairdryer, wi-fi, refrigerator, microwave, low week rates.